We hit a little too close on this recipe for this particular chain. this was the chain that is really known for their pies. They asked us to remove their name. 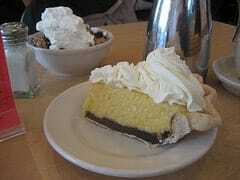 Try this restaurant style coconut cream pie at home. This restaurant-style coconut cream pie tastes like Marie Calendars. Mix first 4 items. Pour in baked pie shells and top with toasted coconut. Chill. I am a complete novice to pie making. Is it 9 oz of dry pudding mix or 9 oz of prepared pudding? 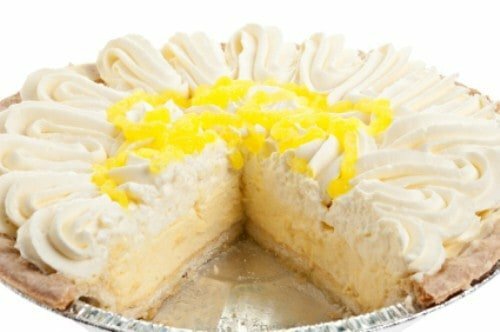 What is the whipped cream topping recipe that appears to be piped on top? What kind of pudding? Instant or cooked? Either work well. If you are going to eat the pie in one sitting, the instant will do, if you are going to eat the pie over a couple of days, the cooked will hold up better. This pie was the hit of my family reunion! Everyone has emailed me requesting the recipe! I will be making this one again!